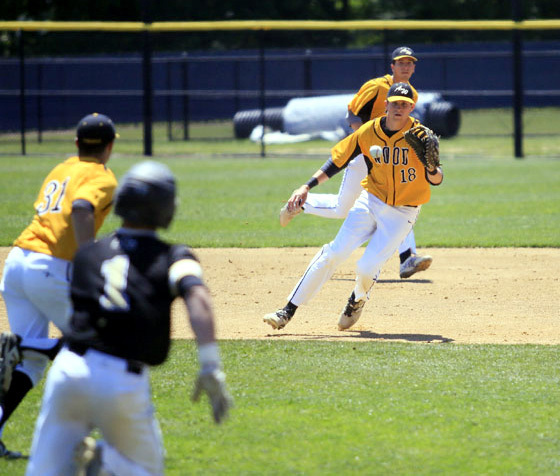 Wood infielder Matt Cumminskey stays on the ball to make the play. 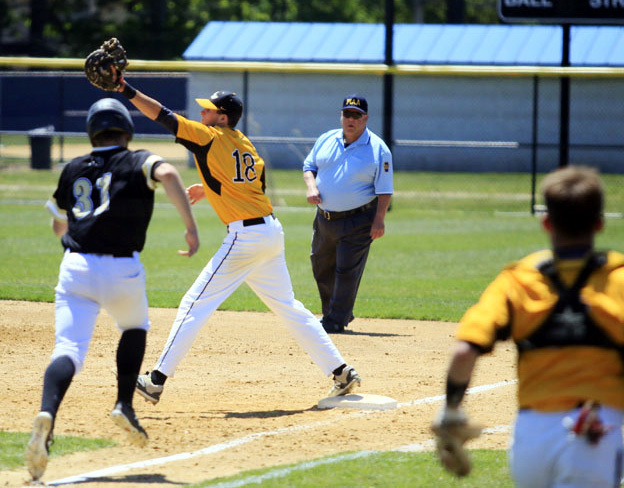 First baseman Sean Kelly’s height makes it easy to take a high throw for the out. 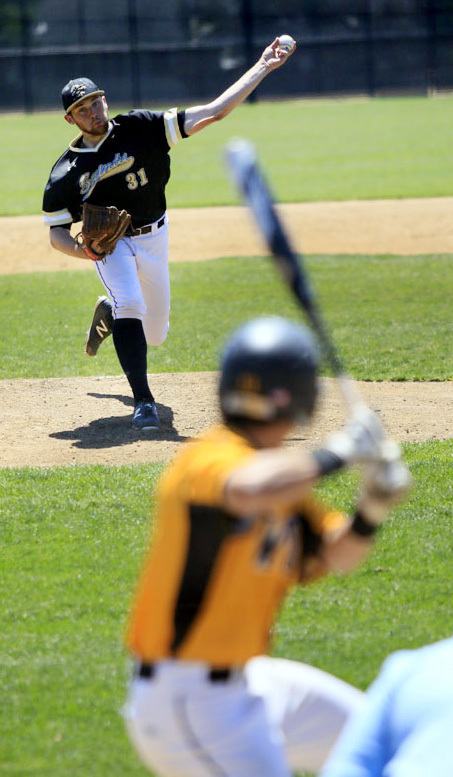 Neumann-Goretti pitcher Pat Doudican delivers a pitch with Wood runners on base. 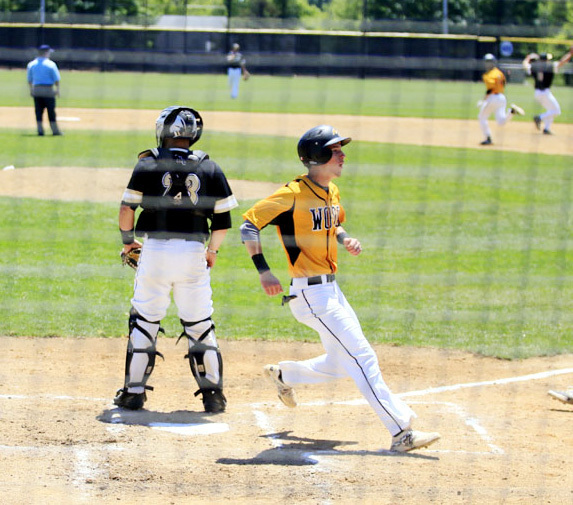 Wood’s Matt Cumminskey crosses the plate to make the score 2-0. 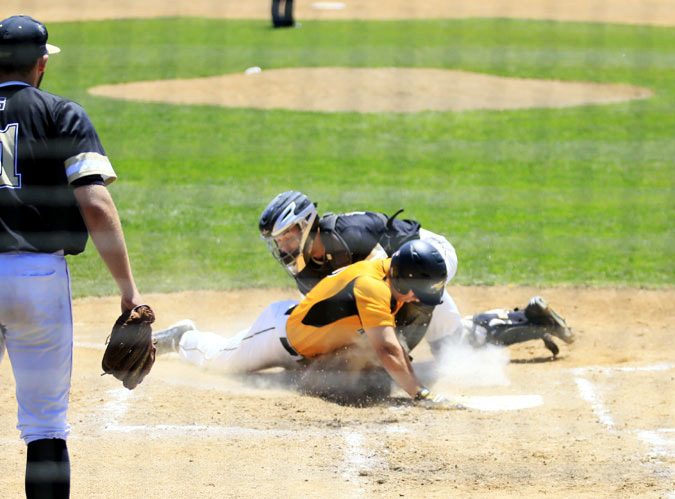 N-G catcher Tommy Nardini tags out Austin Hill, who would have scored the third run on a triple hit by teammate Matt Schwartz. 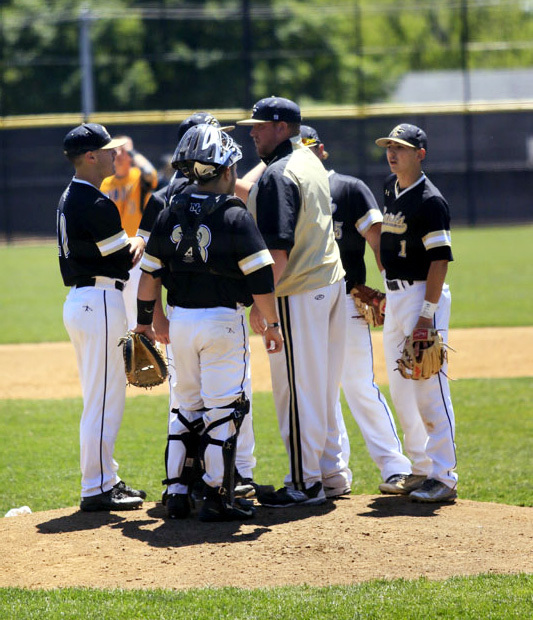 N-G pitcher Pat Doudican, left, confers about pitches with catcher Tommy Nardini. 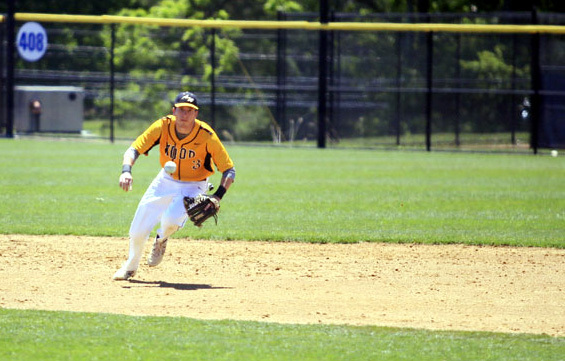 Wood’s Matt Schwartz ventures off third as N-G third baseman Nicky D’Amore covers. 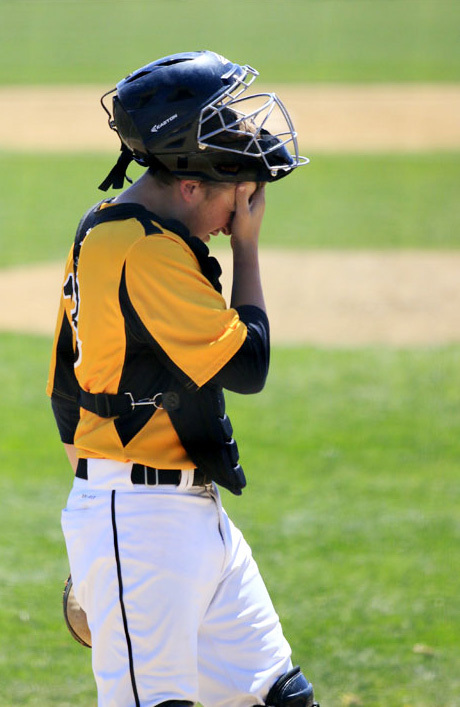 Wood catcher Nick Lafferty wipes the sweat off his brow. Wood pitcher Joey Lancellotti went six scoreless innings before an interesting seventh in which he gave up two runs. 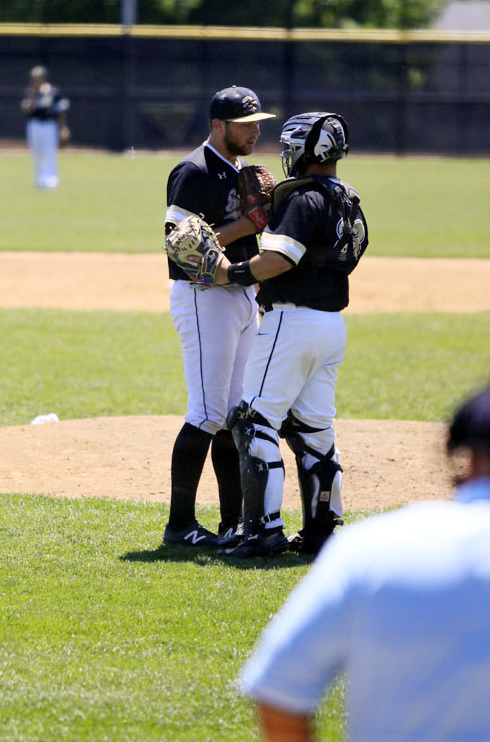 He earned the complete game victory for his Catholic League champion Vikings. 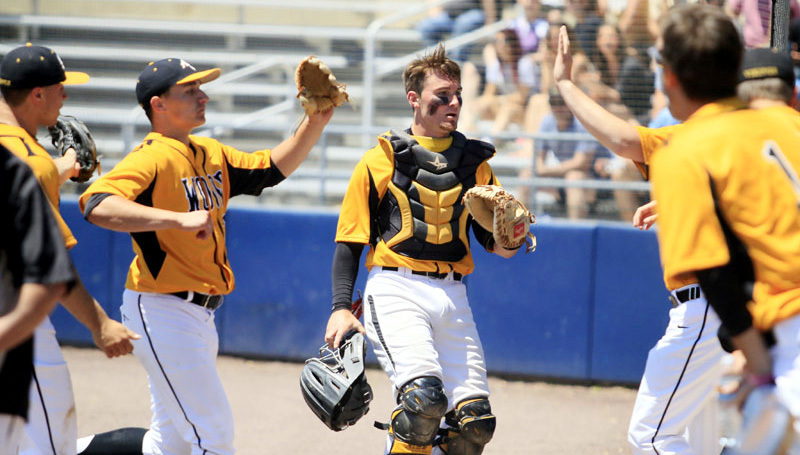 Bay To swings and misses on a pitch that ends in Wood catcher Nick Lafferty’s mitt. 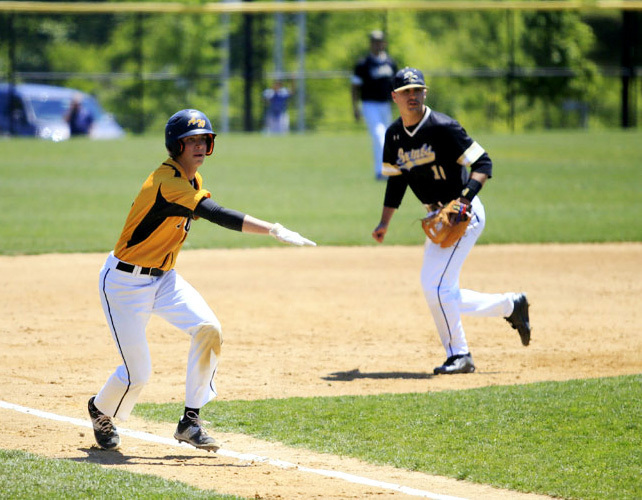 Catcher Nick Lafferty leads his teammates back to the dugout after a 1-2-3 inning during the Catholic League championship game May 23 at Immaculata University. 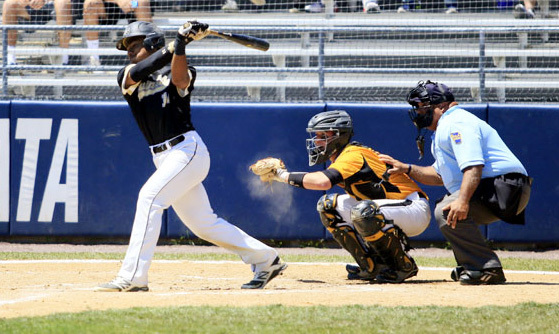 Pat Doudican hurls a pitch for the Neumann-Goretti Saints. 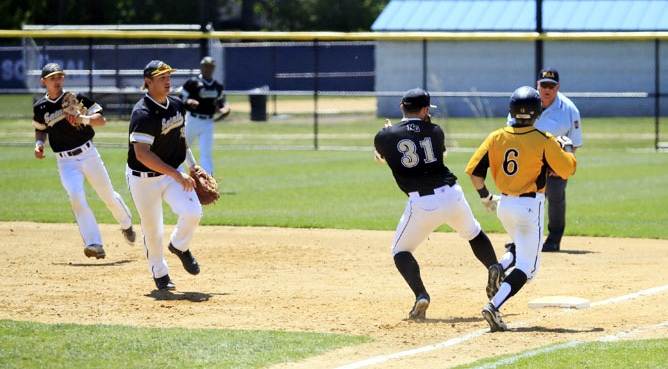 N-G first baseman Louis Testa (center) flips to pitcher Pat Doudican (31) covering first for the out. PREVIOUS: ‘Welcoming Christ’ statue dedicated at Archbishop Carroll H.S.